Checking the cooling system is not only what you can see, but also what you can't see. All cooling system are set at the lowest thermostat setting and ran for at least 30 minutes then turned off and completely retested a second time. 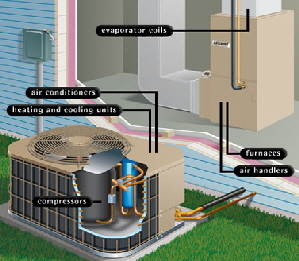 Compressor is observed during operation and temperatures are sampled at room air registers and air returns. 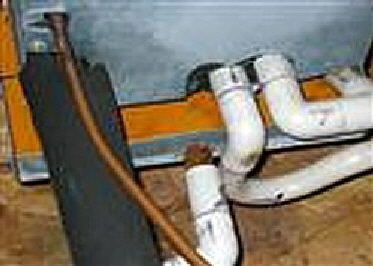 All condensate drainage lines are checked at the blower unit for proper drainage and any signs of problems. The system covers can not be removed during an inspection so the inspector has be very knowledgeable of how a cooling system works and what's going on behind those covers. Most inspectors have little understanding of the operation of cooling systems, but we a America's Inspectors are leaders and teaches of home inspector's. 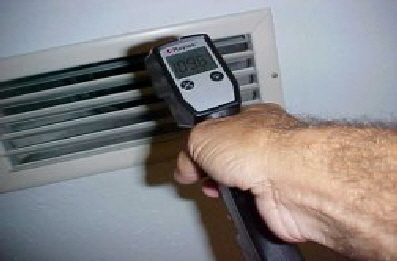 Do you want a quick check of the cooling system or a through evaluation by a experienced inspector? When the first days of summer are approaches, it means cookouts, baseball, blockbuster movies and maybe some sweating. To escape the summer heat, many Americans rely on air conditioning systems in their home. But before turning on the system this summer, the American Association of Professional Inspectors (AAPI) recommends a seasonal checkup to ensure it is running properly. "Routine maintenance of your air conditioning is part of being a sensible and smart homeowner," says Bob Charvoz, president of AAPI. "There are things every homeowner can do to save a lot of money, frustration and sweat in the long run." Because a home cooling system can be an expensive investment, Bob recommends several easy steps homeowners can take to help prevent problems from occurring. ï¿½ Inspect the filters - The first step in maintaining a well-functioning air conditioning system is to inspect the air filters. These should be changed or cleaned at least four time a year. Monthly maintenance is recommended if the system is in constant use or if the air is dusty and dirty. ï¿½ Make sure the machine is properly lubricated - Over time, friction can increase within the machine. Oil the motor and bearings twice a year. Be sure to turn off all electricity to the unit when servicing. ï¿½ Inspect the fan belts - Check fan belts and pulleys for wear and proper tension. Have a professional replace worn parts. ï¿½ Clean the outdoor condensing unit - Foreign objects and dirt can affect the performance of the machine. Brush away or hose off any insects, dirt or other items on the outdoor condensing unit. ï¿½ Clean the drain line -Inspect the drain line to make sure there are not any problems with the termination. If algae is present, wash the affected area with chlorine. Additionally, if you have a window air conditioning unit, check the window and sill for decay, inspect the unit for rusting and spot paint if any rust is present. While the interior air duct is still intact, the outer plastic barrier is split. This duct was only visible from the attic space and had been overlooked by another US inspect inspector. This AC emergency drain pan had been installed this way, in this attic since 1998 when the house was built. It showed signs of overflowing and poor drainage. The owners had nothing on their disclosure statement about ever having any problems with the HVAC system. Dateline NBC investigates air conditioning repairmen. Emergency pan sitting flat and will not drain if needed. Showed all indications that it had overflowed many times in past. HVAC cooling coil above gas heating system, covers have to be removed to see coil. Air passes through coil. System had low air flow to rooms. The unit wall insulation had come loose and covered the evaporative coil inlet air. The unit emg. pan has repeatedly had standing water in the pan and the emg. pan is sitting flat and drain lines are not angled properly in drain the emg. pan. The main drain line is not draining and the unit condensation is back up into the unit. The evaporative coil is rusted out and leaking refrigerate. the unit was reported as working fine by another inspection company just a month before. We saved our clients over 2000.00 in repairs and replacements. The auxiliary drain opening is sealed, the unit has had a ongoing problems with many service calls by the homeowner because of stopped up main condensate drain line. The emg. pan has been replaced 3 times in 3 years. We found the problem and amazed the homeowner and saved our client 1000.00 and many head aches. Why is there dripping from that pipe?